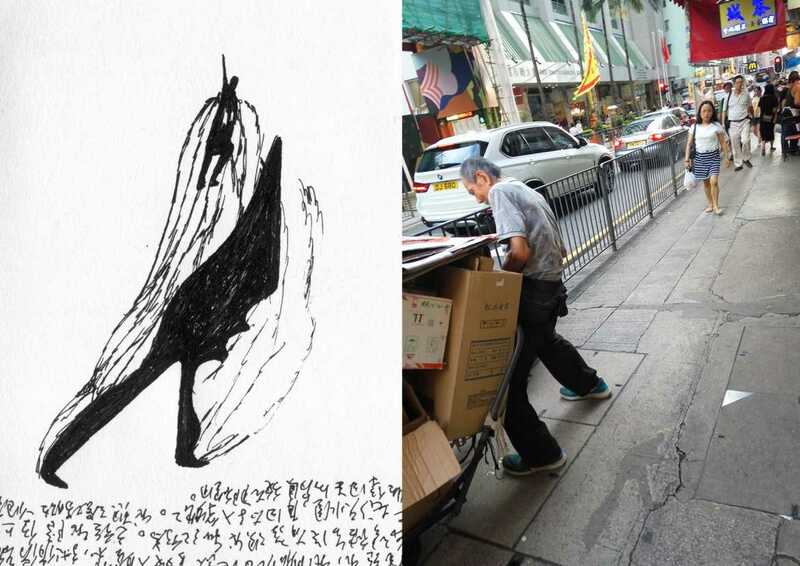 Para Site is pleased to present two exhibitions by Chris Evans and Pak Sheung Chuen. 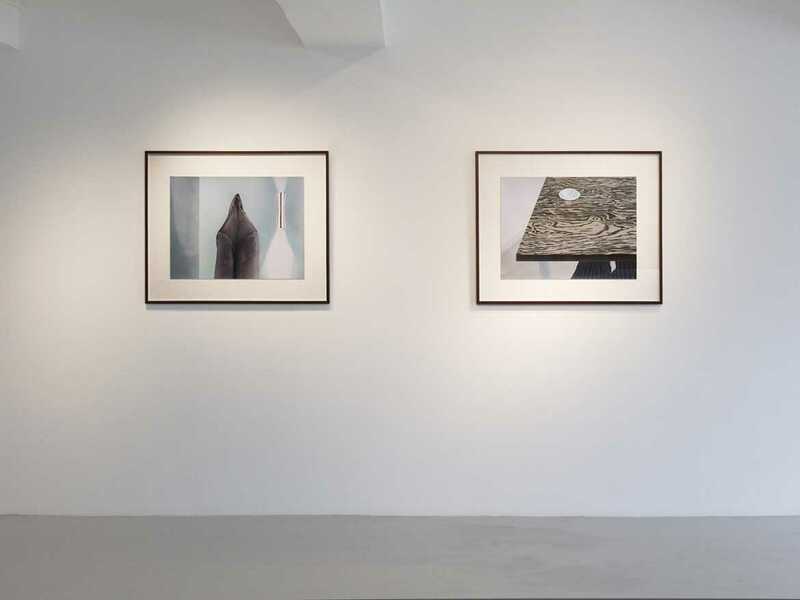 Both presentations include newly commissioned works and are curated by Freya Chou. With diverging approaches, both artists offer a mediation on power. From the protocols of job interviews to the conventions and formalities of courts of law, Evans’s and Pak’s works tease out the complex relationships between citizens and society. In English speaking countries, a ‘cowlick’ is an expression given to describe a kink in someone’s hair, a wayward tuft that grows in a direction different from that of the rest. The series of sculptures that are central to Chris Evans’s exhibition bear cowlicks but, tangential to the coiffeurial connotation, are cast from genuine licks made by cows in buckets of molasses and cereal. 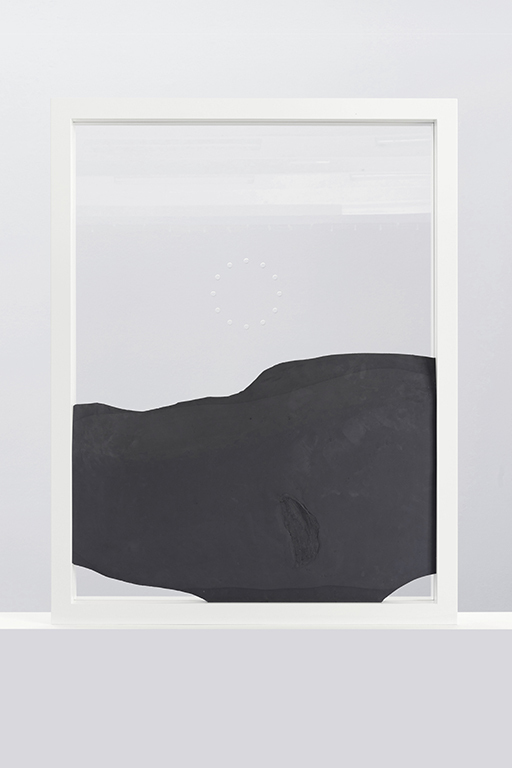 These seemingly arbitrary gestures become intermediaries: they are embodied in relief sculptures and incorporated into a series of transaction windows. An audio piece, titled Jingle, is also placed in an intermediary position, directly at the entrance to Para Site. Recorded with a Hong Kong farmer and produced in collaboration with Morten Norbye Halvorsen, the jingle is set to cumulatively proclaim and broadcast the arrival of each visitor. 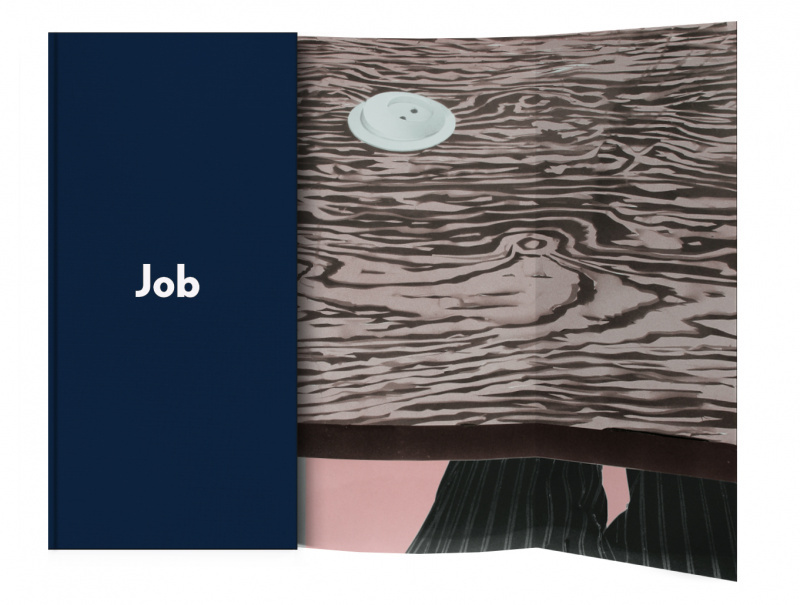 Also exhibited are a series of airbrush paintings produced as part of Job Interviews, a new bilingual publication edited and illustrated by Evans. 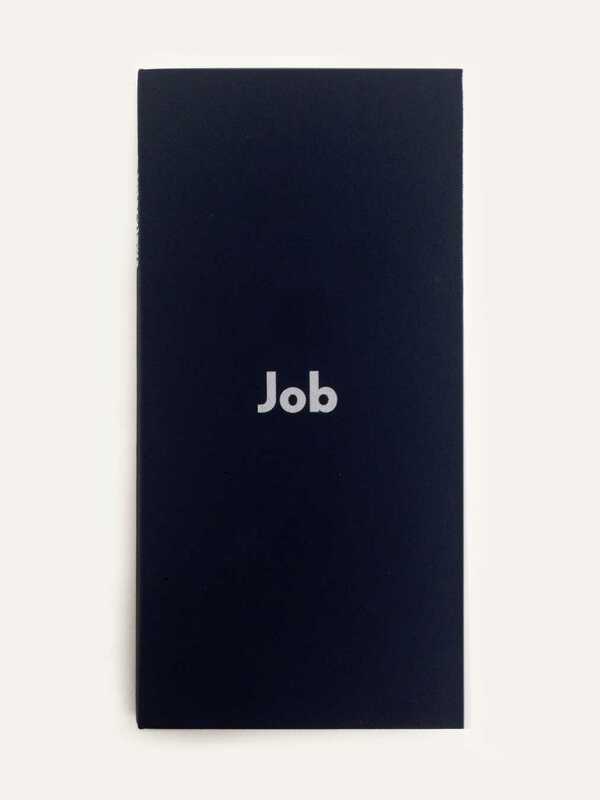 The ritual of the ‘job interview’ can be considered as a courtship that’s conditioned by protocols that ask for a quite particular display: with social relations as material, a dance of conformity, the attempted imagining and echoing of expectations. The anthology of commissioned writing includes contributions by Nadim Abbas, Howie Chen, Heman Chong, Matthew Dickman, Jason Dodge, Holly Pester, Angie Keefer, Natasha Soobramanien, Marina Vishmidt, and Jonas Žakaitis. 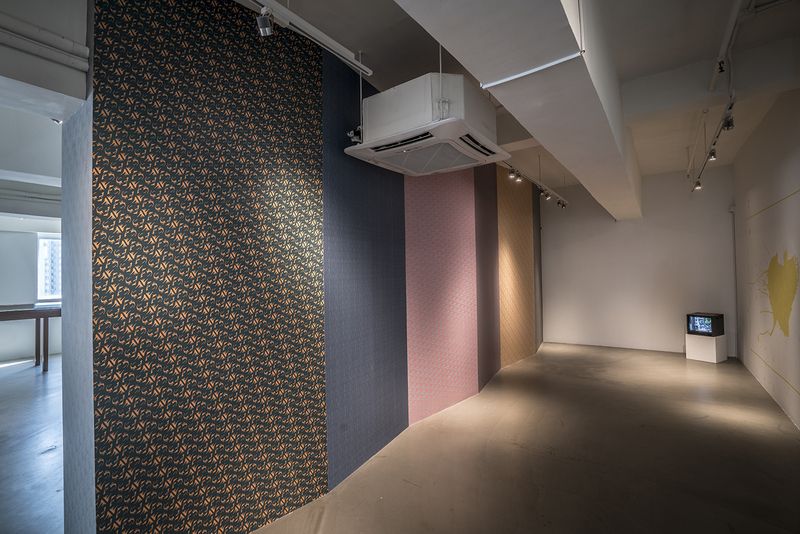 Pak Sheung Chuen entered an aesthetic pilgrimage of self-healing after the failure of the Umbrella Movement in Hong Kong in 2014. The political impasse had plunged Pak into a state of depression that left him devoid of enthusiasm to work. He started attending court proceedings of cases involving political activists who were being prosecuted by the government. Sitting in the courtroom, Pak began making automatic drawings, a subconscious reaction to these cases that became a form of response to what the city was experiencing at the time. 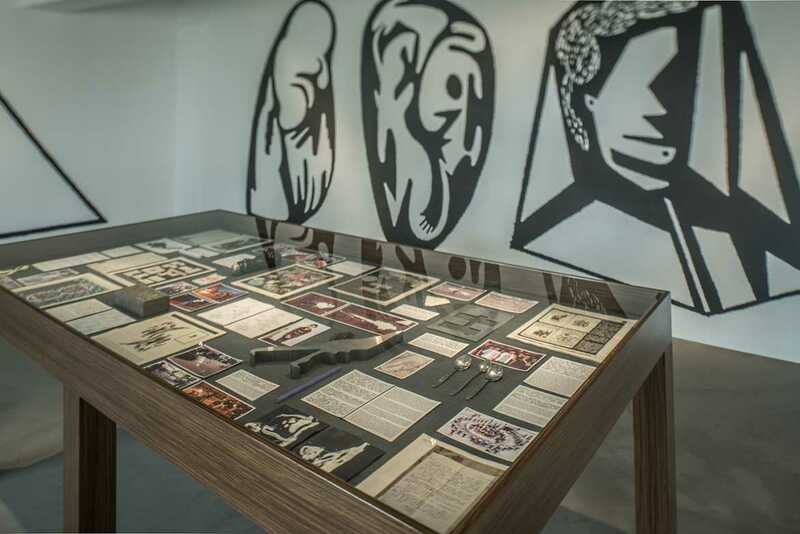 The exhibition presents the outcome of his observations from various court cases, transformed into multiple narratives through wallpaper, graffiti, archives, and objects. These works represent the ‘chaos’ that took place at the beginning of the movement. For Pak, the solemn and intense atmosphere in the courthouse creates a membrane of safeguard, in which he is able to release the trauma and negative energy that he has internalised. 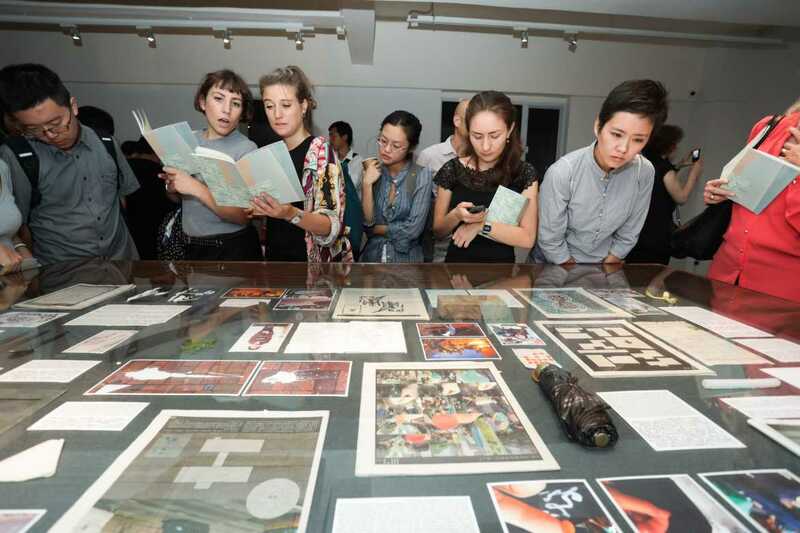 Through long and repetitive acts of self-diagnosing, self-questioning, and self-healing, Pak has been able to return to art creation and become an active agent in society once again. Both exhibitions consider how we negotiate our relationship between personal and public domains. How we navigate through these relationships could anticipate a way in which to respond with clarity; either through proposing new protocols and contracts or muddling and perverting existing ones. A response might be reactive or lateral; it might consider how personal healing might give comfort to a wounded society, how we might imagine structures that foster inclusive participation and how such a response might counter injustice and prevalent falsehood. This exhibition is supported by RC Culture and Arts Foundation. 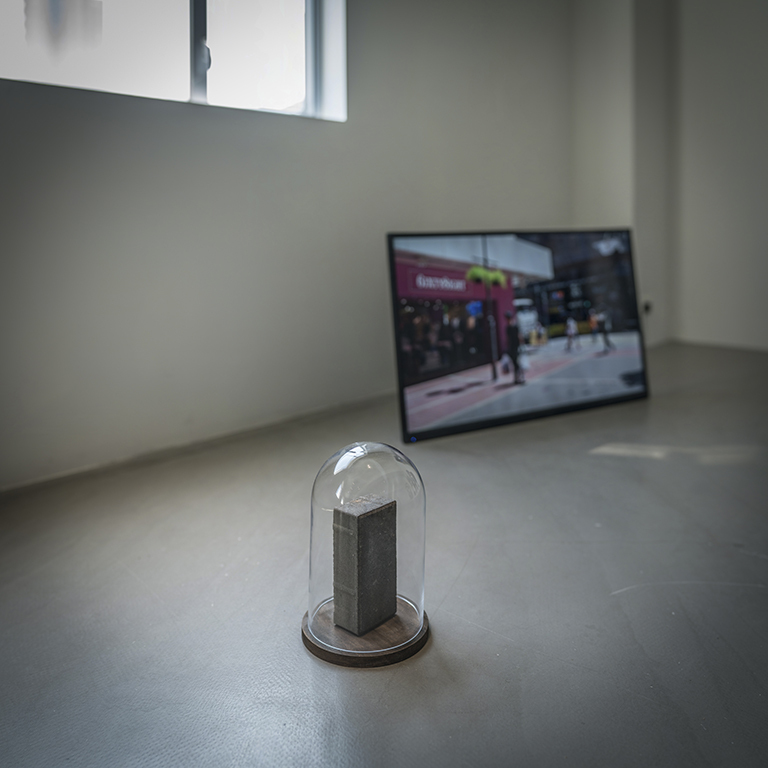 Chris Evans’s work often evolves through conversation with people from diverse walks of life, selected in relation to their public life or symbolic role. Sculptures, letters, drawings, film scripts and unwieldy social situations created as a result of this, are indexes of a larger structure through which Evans deliberately confuses the roles of artist and patron, author and muse. Since 2005, and on numerous occasions worldwide, Evans has invited representatives from national police forces to give recruitment presentations at art academies, including, in 2008, Pratt Institute, New York and, in 2015 Academy of Fine Arts, Nürnberg. In 2005 Chris Evans participated in the 6th British Art Show and the following year in Eastinternational. 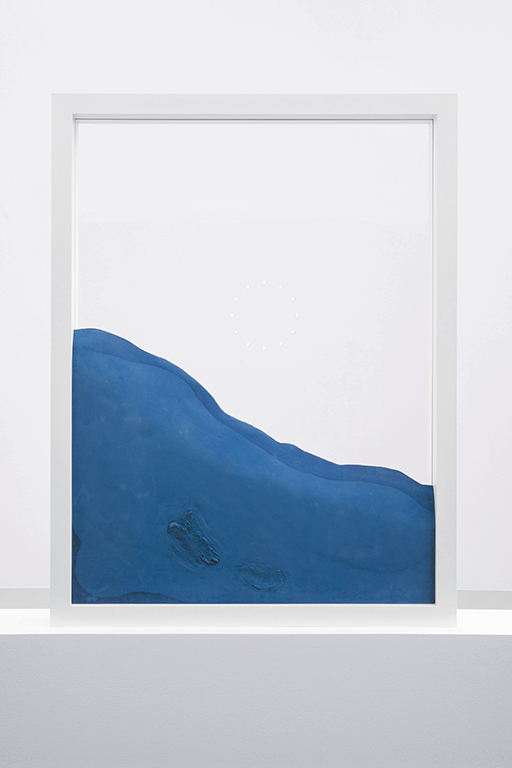 Since then he has exhibited in several international art Biennials: Athens Biennial in 2007, Taipei Biennial in 2010 and Liverpool Biennial in 2014. 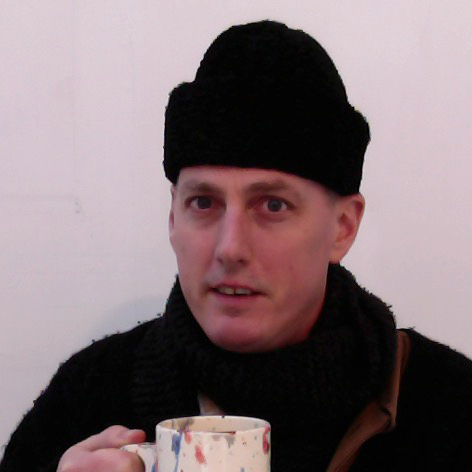 He has had numerous solo exhibitions, including: Praxes Centre for Contemporary Art, Berlin (2015); Markus Lüttgen, Cologne (2015); Project Arts Centre, Dublin, Ireland (2014); The Gardens, Vilnius (2014); Piper Keys, London (2014); Juliette Jongma (2012); Lüttgenmeijer, Berlin (2011); Marres, Maastricht (2010); British School in Rome (2008); Artpace, San Antonio (2007); STORE, London (2007); Stedelijk Museum Bureau Amsterdam (2006); and Studio Voltaire, London, (2006). 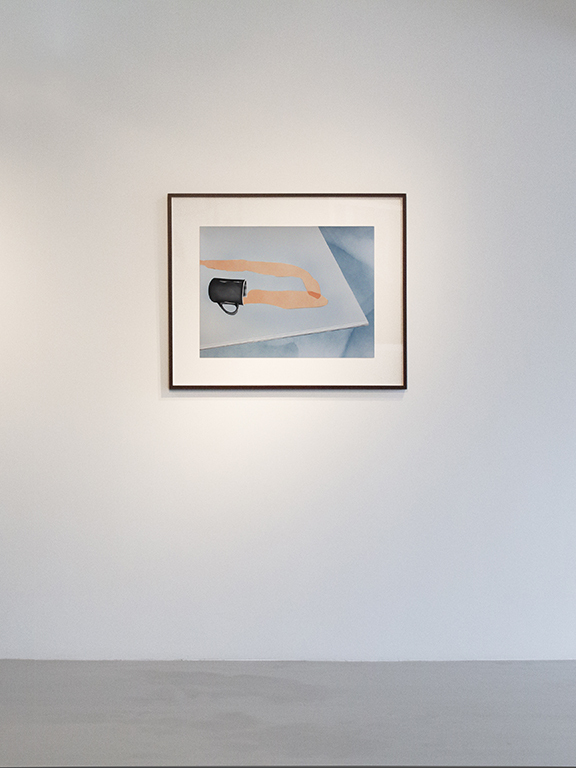 Pak Sheung Chuen’s works often slyly alters the experience of everyday life. He explores the mental and social space that is structured in our perception of the world, and investigates the coincidence and arbitrary that bring to the fronts of reality and fiction. He places himself in various situations and adapts his writings as a medium, conceiving his works as actions or subtle manipulations of the regular course of events. 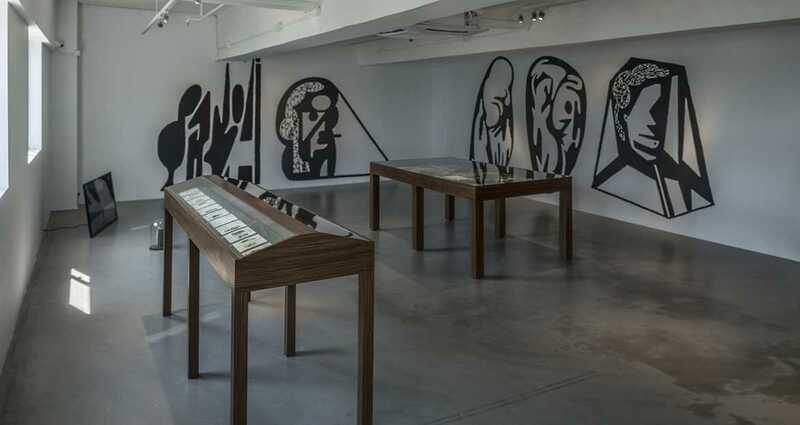 Pak has participated in numerous international exhibitions, including San Antonio Artspace (2013), Liverpool Biennial (2012), Taipei Biennial (2010 and 2012), Biennale Cuvee 10 (2010), 3rd Yokohama Triennial (2008), 3rd Guangzhou Triennial (2008), China Power Station: Part 2 (2007) and 6th Busan Biennale (2006, 2016). His solo exhibition Page 22 is permanently installed in New York’s 58th Street Branch Library. His artworks are in the collection of Tate Modern, M+ Sigg Collection, Astrup Fearnley Museum of Modern Art and many others. He represented Hong Kong in the 53rd Venice Biennale in 2009. He currently lives and works in Hong Kong.